ISawThatToo » September 10th, 2016, 3:50 am wrote: An American citizen, not US subject. Why have you ended each of your posts with a meaningless phrase that sounds like a reference to the nonsensical Sovereign Citizen 'movement'? I haven´t seen "Operation Avalanche", but it´s not hard to guess why they made it. Distributors: Ascot Elite Entertainment Group, Vice Films, Central Park Films, Falcon Films, Lionsgate. Flabbergasted » September 17th, 2016, 8:50 am wrote: I haven´t seen "Operation Avalanche", but it´s not hard to guess why they made it. "If we can convince mission control. . . then everyone else will follow." Oh yea! NASA, space travel, and satellites are all totally real. But maybe they (small handful of dark agents) fudged (or tried to) Apollo 11. . . a little. The rest, and everything else, is legit. Also, this demonstrates how impossible it is to fake a big news event. The system protects itself, and the public at large, from such corruption. True, Flabbergasted, it's Not Hard (at all) To Guess Why They Made It. Has anyone asked NASA if they have a photo that shows the horizon on the moon further than 100 yards away? As for the "whistleblowing" Operation Avalanche - I wouldn't trust the motives of a company behind Michael Moore's Fahrenheit 9/11. 50 yards behind him and looking in the visor reflection 50 yards in front of him. The real problem with that picture is the fall-off of the reflector ("fixed" by NASA in the 2011 version), but this has been pointed out by others. But it would seem we are up for a much better visual treat with the new mini-series MARS. The year is 2033, and mankind's first manned mission to Mars is about to become reality. This is the story of how we make Mars home, told by the pioneers making it possible. MARS, a Global Miniseries Event, premieres this November on National Geographic. SmokingGunII » September 19th, 2016, 1:14 am wrote: Classic, isn't it Antipodean?! Also in the centre of the reflection in the visor, the white up right figure appears to be another astronot, yet Buzz credits Neil with taking the picture. Is it me but most pictures taken on the moon seem to portray some kind of curvature. 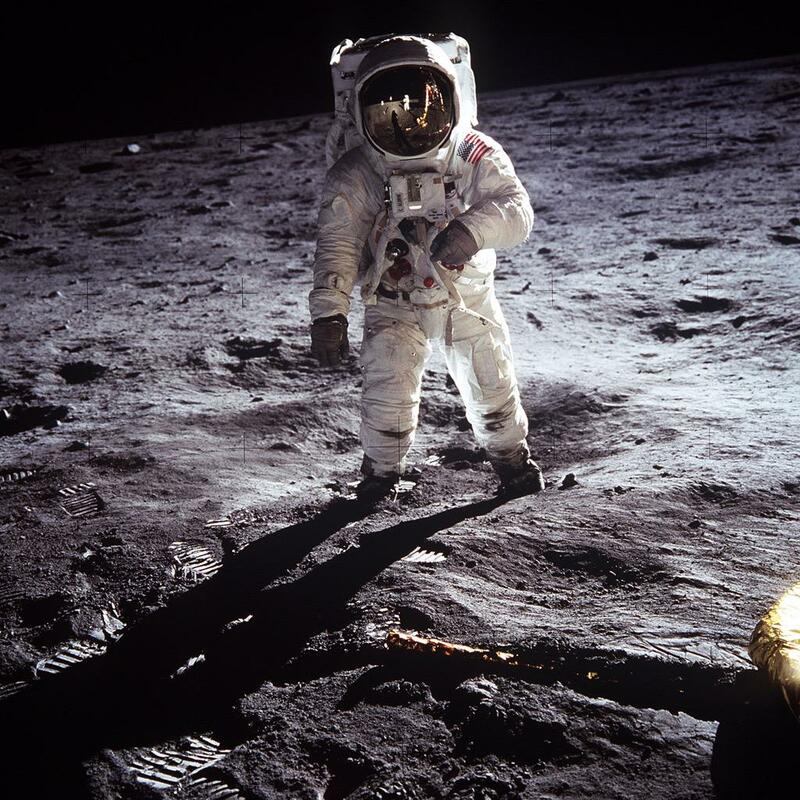 NEW YORK — Moon dust that Neil Armstrong collected during the first lunar landing was displayed Thursday at a New York auction house — a symbol of America's glory days in space now valued at $2 million to $4 million. What does an "ordinary" bag look like? Is that a bit like an ordinary black velvet top hat? in a seized assets auction staged [Is this the best word? -hoi.polloi] on behalf of the U.S. Marshals Service. The owner, whose name has not been made public, purchased the treasure and sent it to NASA for testing. I really would like to know if this sounds like an "ordinary" legal case or if it is just trying to appear "ordinary looking". Yes, "a touch of humor" that is drier than a tumbleweed — Snoopy being a reference to a comic strip by the manic depressive Charles Schultz. The least funny thing about this entire string of "facts", it seems to me. But alright, to each their own "humor" I guess? Gagarin's description of the planet — translated from Russian — is being offered as part of his observations on being in space. His in-depth report, translated into English, has an estimated value of $50,000 to $80,000. What could they mean by "blue [to] violent [to] black"? Just a typo, right? And not some hint about the impossibility of space travel ... surely! Welcome to "Today in Space," where we peer back in our archives to find historic moments in spaceflight and astronomy. So enjoy a blast from the past with Space.com's Hanneke Weitering to look back at what happened on this day in space! On July 13, 1969, the Soviet Union launched its Luna 15 spacecraft on a mission to the moon. 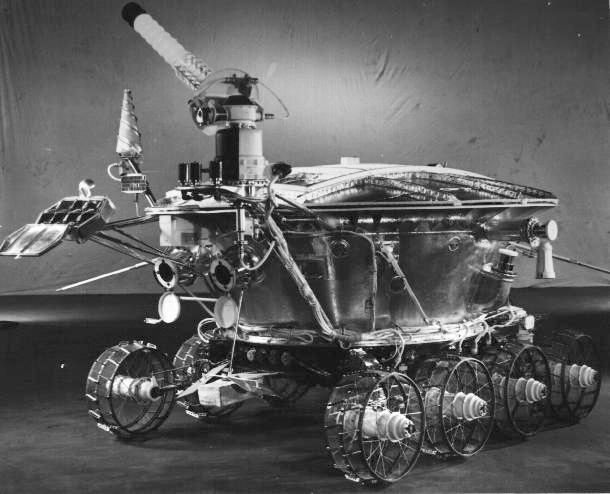 Luna 15 was a robotic sample return mission sent to retrieve some lunar soil and bring it back to Earth. It launched just three days before Apollo 11, which brought the first astronauts to the lunar surface. Neil Armstrong and Buzz Aldrin beat actually Luna 15 to the moon by about 20 hours. Talk about a space race! Just a few minutes after the Soviet spacecraft began its descent on July 21, Luna 15 unexpectedly crashed into a mountain and stopped transmitting data back to mission control. 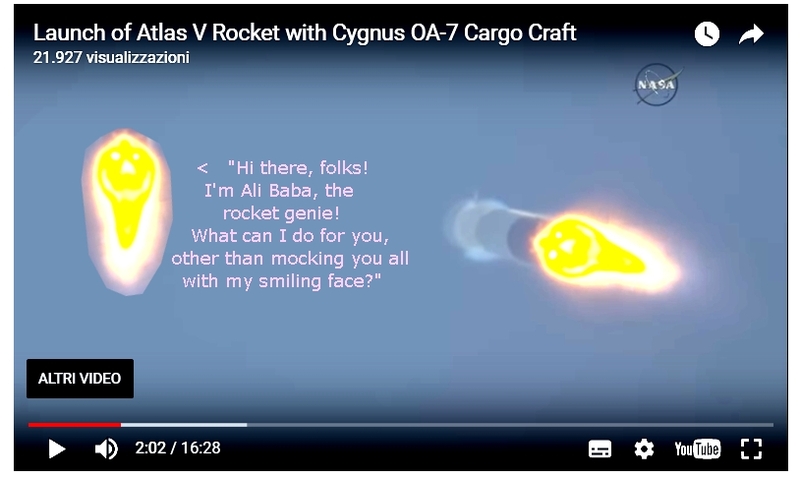 And that's what happened today in space! Absolutely priceless - or should I say "lunatic" - information, dear Hoi ! Of all the tasty "LUNA landers" though, this kettle HAS to be my favorite ! Goulash? Yummy! Btw, did you know that several dozens LUNA landers were apparently sent to the MOOON by our crafty Russian friends? And hey, folks! That same website has some Lunar real estate for sale! Hmmm, I might give it a thought - finances permitting. "The UN Outer Space Treaty of 1967 stipulates that no government can own extraterrestrial property. However, it neglects to mention individuals and corporations. Therefore, under laws dating back to early US settlers, it is possible to stake a claim for land that has been surveyed by registering with the US Office of Claim Registries. BEWARE of other phony 'Lunar' companies selling Moon property. 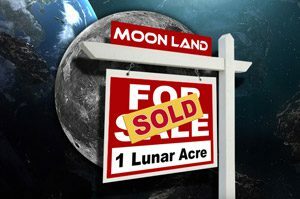 They may seem legitimate, but the Lunar Land company has been THE WORLDS MOST RECOGNIZED CELESTIAL REAL ESTATE AGENCY to possess a legal trademark and copyright for the sale of extraterrestrial property within the confines of our solar system for decades." Good grief. The silliness of it all is quite astronomical. My apologies for posting this without personal comment but I found it interesting for the posterity of this thread. I have not looked into all the why's and wherefore's as I am engaged in my own activities at the present (OCR'ing 50 year old books I have written into printed and bound copies). Perhaps those who are not so engaged in other activities might like to review these. 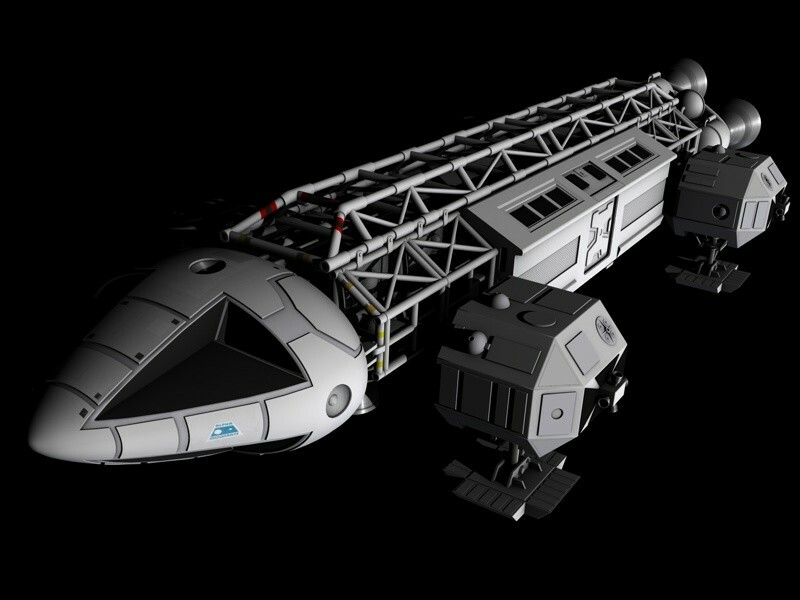 The British TV series "Space: 1999" about the brave residents of Moonbase Alpha (1975-77) actually designed spacecraft props more believable than Luna 15 and assorted NASA kettles. Damn, I was mesmerized by those programs when I was a boy! Now they just look cheesy and gawky. sharpstuff » 23 Jul 2017, 13:57 wrote: My apologies for posting this without personal comment but I found it interesting for the posterity of this thread. That article refers to a good study showing that the lunar mountains in the photographic record are not miles away, based on parallax, proving that the pictures were taken in a studio. Back in the 50's and 60's they at least TRIED to make them look slightly realistic.